Daylight Savings Time begins on Sunday! Check the weather forecast at Weather Underground. Redwood Park does not have its own parking lot, but we have been given the ok by the school district to use the parking lot for Cesar Chavez Elementary School, which is right next to the park. 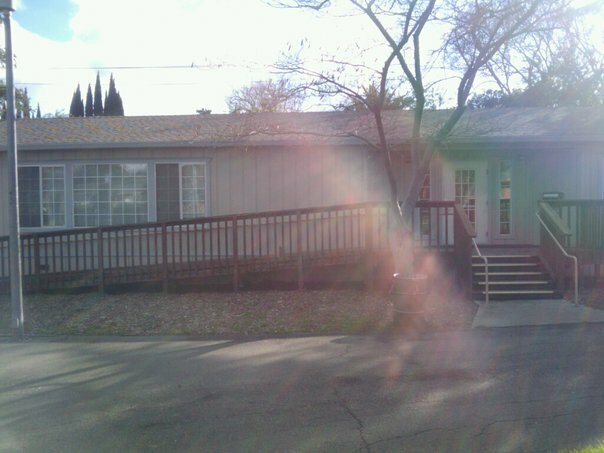 Additionally, Redwood Park is very easy to get to (walking distance from UC Davis and very accessible via Hwy 113), and there should be plenty of on-street parking. Note: Unitrans does not run on Sundays. 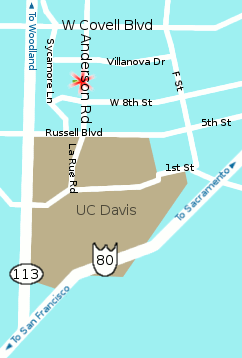 Davis is served by Amtrak's Capitol Corridor intercity rail service. Two long-distance Amtrak trains also stop in Davis: the Coast Starlight (Seattle, WA to Los Angeles, CA) and the California Zephyr (Emeryville, CA, Reno NV, Salt Lake City, UT, Denver, CO, Omaha NE, Chicago, IL). Atari Party is free, and open to the public! That's right: no admission fee! Big thanks to our sponsors for helping us put this event together! Children are welcome, but please don't leave any minors at the event without an adult. Also note that some games and films are not suitable for young children (due to violence, language and/or gore). We will do our best to keep the more mature stuff out of the hands of kids, but remember that this is a volunteer-driven event, and that not everyone helping run the event is familiar with all of the games that might show up. Want to Bring Games or Help Out? Interested in bringing your systems and/or games to this event? Want to help us set up, run the event, and clean up after? Learn how you can volunteer at the party! Set-up begins at 10:30am, and we must be completely out by 8:30pm. Doors are open to the public between 12:00pm and 8:00pm. The venue is approximately 1300sqft, with a standing capacity of 80 persons. It includes four 8-foot tables, one 5-foot oval table, and 75 chairs. A volunteer is bringing an extra 8-foot table, too. The building has 2 normal house circuits. There are 5 outlets on the north side, 9 on the south side (4 of which are in the kitchen). There's no projection screen available, but a blank wall that can be projected on.